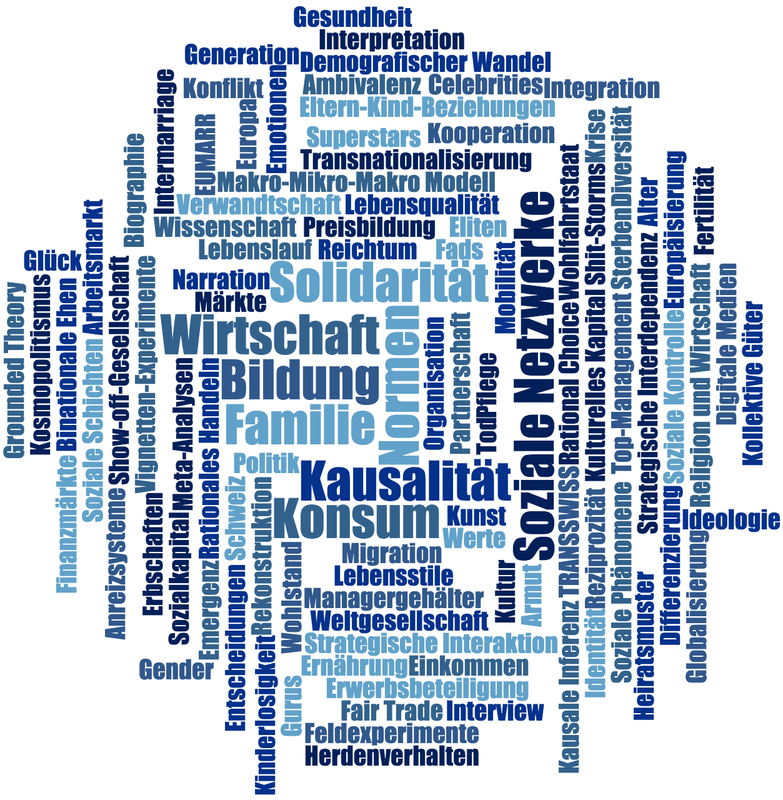 Full publication listing from 1988 until today as part of the "Zurich Open Repository and Archive"
Research activities at the Institute of Sociology are characterized by a wide range of topics. The common thread is our mutual understanding of Sociology as a problem-oriented science, where theory and empricism are in constant exchange and reference. We consider Sociology as a theory-driven, empirical science that leads to orientational knowledge about the genesis and change of the social structure in modern society. We emphasize the close connection between social theory and social research as part of research designs. This yields to conclusions and insights that can be controlled methodologically and reproduced by interdisciplinary means. Our research methodology primarily applies quantitative methods. In recent years however, quantitative methods are increasingly being used as well. In our teaching activities, we intend to convey sociological perspectives where all fundamental approaches, both theoretical and methodological, are being taught, always in relation to the context of the Institute's own research focus areas.